I attended my first Utah Arts Fest this weekend, and boy am I bummed I wasn’t around for the first 41. Interspersed among hundreds of exhibiting artists, hands-on art-making booths and interactive displays were pockets of excellent local music on a variety of stages. After my 6-year-old son tried out a viola, a cello and a French horn thanks to Summerhays Music’s instrument petting zoo, we treated our ears to searing blues riffs on the Festival Stage, gentle folk rock on the Garden Stage, uptempo pop on the Park Stage and a DJ booming forth from the Urban Arts booth—and that all in the space of 15 minutes. If you spent the whole weekend roaming between Washington and Library Squares, the amount of musical introductions would’ve been breathtaking. 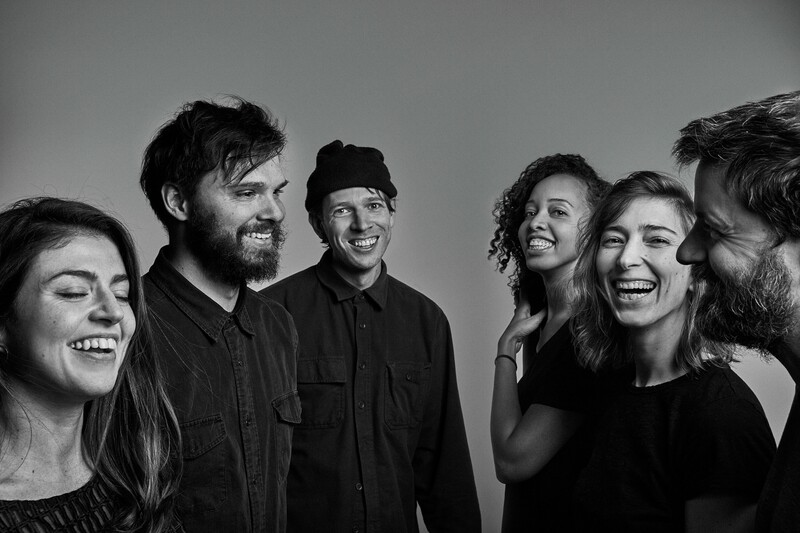 Tonight (Monday 6/26), New York art rockers Dirty Projectors grace The Urban Lounge’s stage, bringing the heartbreak of frontman Dave Longstreth’s recent songwriting to life for the first time in five years. Mixing sparse, spacey R&B with classic start-stop post-punk grooves since the early 2000s, Dirty Projectors still somehow stand alone in the indie cognoscenti. There’s a reason why superstars like Rihanna and Kanye West have tapped Longstreth as a co-writer, even when his conceptual ambitions bump up against his instrumental chops. That doesn’t appear to be as much of an issue on forthcoming full-length Lamp Lit Rose, which has been hailed as “a delight” by NPR Music and as “fun as anything the band’s ever made” by Chicago Reader. On Tuesday night, classic jazz can be enjoyed on two fronts: downtown at Gallivan Center’s Big Band Tuesday with Timpanogos Big Band or up in Ogden at Weber State University’s Austad Auditorium with Glenn Miller Orchestra. Although its heyday with the fabled bandleader only lasted a few years in the ’30 and ‘40s, the present-day incarnation of Glenn Miller Orchestra has been running strong since 1956, performing nearly 300 dates a year. If you like to jump, jive, swing and sing, wear your dancing shoes on Tuesday. If you know emo rock, you probably know Chicago’s Knuckle Puck. But did you know that bassist Ryan Rumchaks fronts his own band, Homesafe, who specialize in their own brand of very loud, very emotional punk rock? Bring your earplugs Wednesday for this stacked Midwest-heavy bill at The Loading Dock including Michigan’s Hot Mulligan, Cleveland’s Heart Attack Man, and Urbana’s Jetty Bones—but also be ready to sing along. Heavy music doesn’t often get this melodic or enjoyable. Up in Deer Valley, local Americana prodigy Sammy Brue headlines the free Grand Valley Bank Community Concert Series. Catch him now—his shows keep getting bigger and bigger, and soon Utahns will look back nostalgically when Sammy was still one of ours. In another case of see them now before they blow up, modern songsmiths Mae Krell and April Rose bring their DIY duo tour to Lavender Vinyl in Ogden on Wednesday night before performing at The Shop at Riverwoods in Provo on Thursday and Friday. 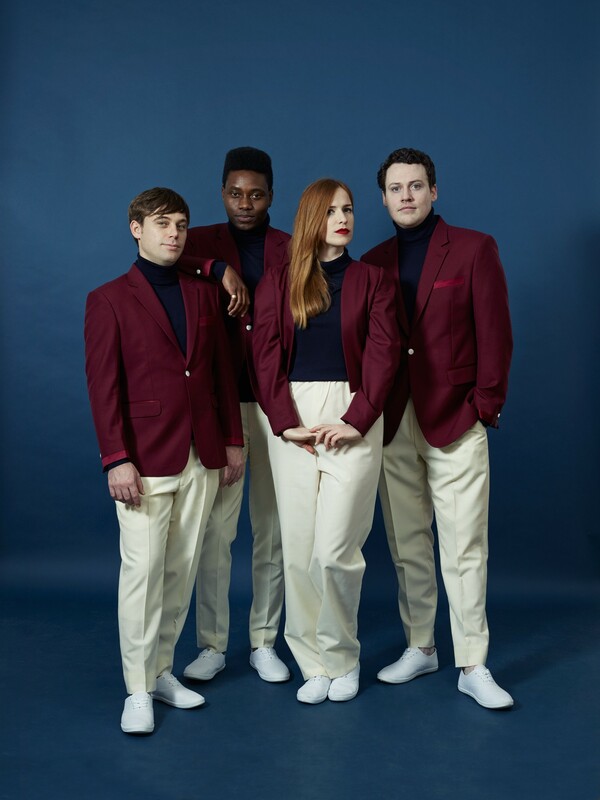 The summer concert cornucopia continues to overflow on Thursday night at Ogden Amphitheater, when electronica icons Metronomy and raw piano-driven rockers Cold War Kids co-headline the fourth edition of Ogden Twilight Series with local band Sleepy Passenger opening. Looking for some countrified fun instead? No Shoes Nation head honcho Kenny Chesney and Nasvhille’s Old Dominion will barnstorm through Usana Amphitheatre with their pop-friendly mega-hits. Things get more diverse on Friday night, when Latin funk, psych and cumbia ensembles Brownout and Money Chicha touch down with their Fear of a Brown Planet Tour at The Urban Lounge. In addition to Public Enemy covers pulled from their recent album, hopefully Brownout will also play more than one of their famously retooled Black Sabbath covers so that hip-hop heads, metal fiends and dance aficionados alike can get their fix. Finally, if something a little more acoustic is up your alley, the Bluegrass Timpanogos Folk Festival brings the sounds of down home to life on Friday, June 29 and Saturday, June 30 with a variety of shows including John Resichman of the Jaybirds and local favorites Otter Creek at Timpanogos High School and Timpanogos Park.